We wanted to give K’s 3 main teachers a small parting gift. Something small. Something sweet. What defines “small and sweet” better than a Hershey’s kiss? I found these cute little buckets at the dollar store in packs of 3 for a $1. 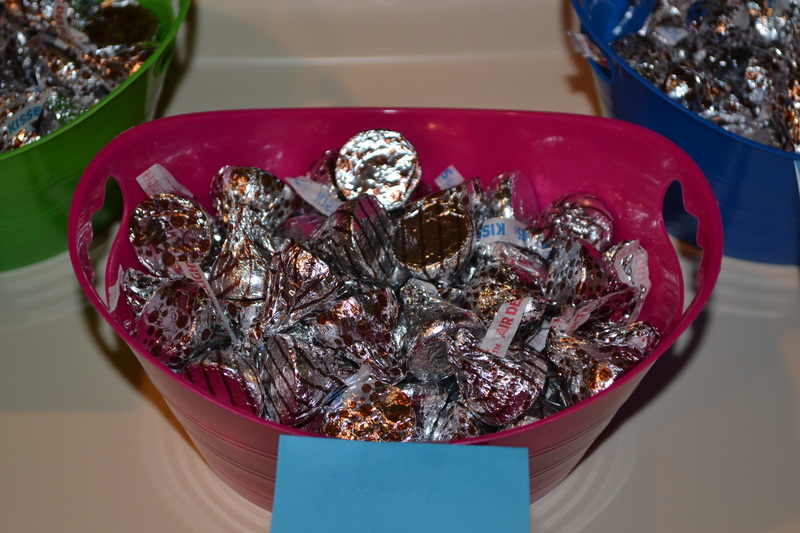 I bought 3 different kinds of hugs and kisses, and mixed them in. Hugs and kisses from K.
Thanks for a SWEET year! Great idea!!! Thanks for sharing and as the gift from K’man to his teachers, perfect!!!! Love you!